Common over-the-counter medications may increase your risk for dementia. That is the startling finding of a recently published journal article which used a number of approaches to examine the possible risk of using medications that have anticholinergic effects. This includes many psychiatric medications as well as many common over the counter antihistamine medications, medications for sleep, and for GI problems: Benadryl (diphenhydramine), Sominex (diphenhydramine), Tylenol PM (diphenhydramine), Bonine (meclizine), and many other medications, are some examples. The study was extremely well designed and is likely to remain the definitive work on the subject. Using brain imaging techniques, the researchers found lower metabolism and reduced brain sizes among study participants taking the drugs known to have an anticholinergic effect. They also found an increased incidence of new cases of dementia among those receiving anticholinergic medications, and lower scores on a number of tests of memory and brain function. “Given all the research evidence, physicians might want to consider alternatives to anticholinergic medications if available when working with their older patients,” Dr. Risacher said. The study involved 451 participants (average age of 71), 60 of whom were taking at least one medication with medium or high anticholinergic activity. 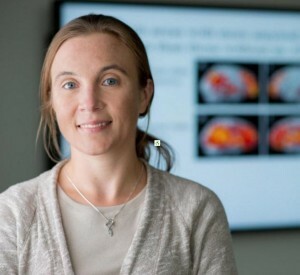 The participants were drawn from a national Alzheimer’s research project — the Alzheimer’s Disease Neuroimaging Initiative — and the Indiana Memory and Aging Study. As you can see from the picture below, across a number of measures of brain function, those receiving anticholinergic medications performed worse. Gray, S. L., PharmD, MS, Anderson, M. L., MS, Dublin, S., M.D. , PhD, Hanlon, J. T., PharmD, MS, Hubbard, R., PhD, Walker, R., MS, . . . Larson, E. B., M.D., MPH. (2015). Cumulative Use of Strong Anticholinergics and Incident Dementia. JAMA Internal Medicine. doi:10.1001/jamainternmed.2014.7663.